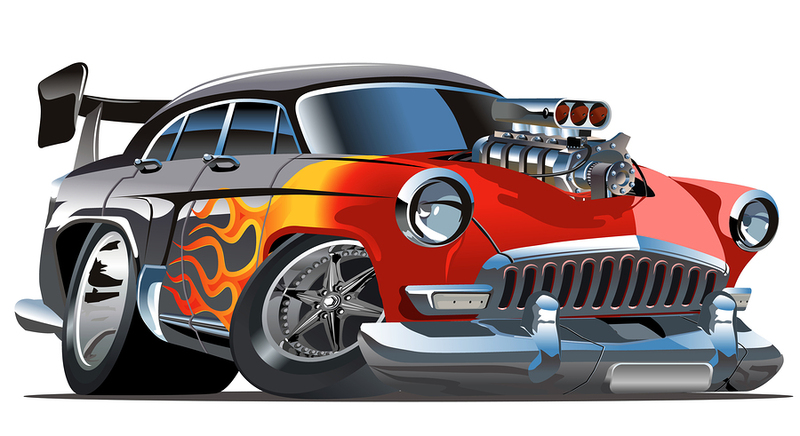 Summer Showdown Car Show and Silent Auction at the Castle July 19th | Joe Hayden Real Estate Team - Your Real Estate Experts! If you like cars, you can’t miss the Summer Showdown Car Show and Silent Auction. It’s happening at “the Castle” on July 19, and it’s an all-day event that’s packed with fun activities, food and stuff to do. But mostly, this event is all about cool cars…and here, you’ll see some of the coolest. Car shows are always fun, and this one has taken on a festival reputation. But all that fun is done for a good cause: the Michael Feger Paralysis Foundation. All the proceeds for the event go to this organization, a charity that helps people with spinal cord injuries and related medical problems. The show begins at 10 am and ends at 5 pm, and every hour is packed with stuff to do. It all begins at Valor Traditional Academy, otherwise known as “the Castle,” at 11501 Schlatter Road. It’s just 2 miles south of the Gene Snyder. Arrive between 10 am and 1 pm to register your vehicle, which costs $15. Show up early, because the first 100 vehicles will receive a goodie bag and a plaque for the dashboard. The top 40 cars and trucks will receive trophies, but the prizes don’t stop there. Trophies will also be given out for Best of Show, People’s Choice, Club Participation and Kid’s Choice. The awards presentation begins at 4 pm. Until then, there’s plenty to do. Vendor booths will be in place so you can shop around while you’re there. And if you want to do some serious shopping, enjoy the silent auction. The silent auction includes vintage and replica items, a golf package and many fun prizes. Face painting and other kids’ activities are free. There’s a playground on the property and free coloring books will be available. Snack on grilled hamburgers and hot dogs while you’re there. Later, try some of the desserts that will be available. Feeling hot? Go into the cool, air-conditioned cafeteria to have your snack. There are also many large restrooms inside the school. Valor Traditional Academy is just off Bardstown Road, close to several neighborhoods in the area. Glenmary and Fern Creek are both close by. Fern Creek is one of Louisville’s historic communities, just 12 miles from downtown Louisville. The area’s oldest building dates back to 1789, before Kentucky even achieved statehood. In the earliest days, Fern Creek was known for being an agricultural region. Today, it’s a bustling community of homes, schools, country clubs and other amusements. Go see it for yourself, and enjoy your day at the Summer Showdown Car Show and Silent Auction.